The Hummingbird has been very silently appeared in to the Google’s Search Engine one month earlier of announcement on 26th of September 2013. It then made puzzle among millions of SEO readers because of 90 percent change in search results due to re-defined algorithm in Search Engine. Although, this wonder bird has already been got sky-kissing honor and appreciation by the real-time thinkers, but it’s still buzzing tones of asking are being resolved day by day through various strategic write ups all over the net for readers to make it simpler and easier to understand. 1) What is Google’s ‘Hummingbird’? The Hummingbird is a code-name of the Google search algorithm, a brand new search engine who effects well-nigh search results, because of new framework built upon previous classic ranking factors. 2) Are Panda, Penguin and caffeine now dead? No, a very importantly useful part of them are still live, united with the hummingbird, working well in total performance. 3) What percentage of search results does Hummingbird affect? According to Google, 90 percent result of the search queries is being affected by Hummingbird. 4) What was the earlier update of Hummingbird? The earlier remarkable update was “Caffeine”, worked out in indexing or gathering information creating Crawl bots. But it didn’t work out in sorting data and presenting. 5) When was the major update earlier of this Hummingbird? It was earlier of about one era, in 2001, did write down major changed. 6) What is Semantic Search System? A system of search that bases on the science of meaning in language to create almost perfect or super relevant search result is called the Semantic Search System. Semantic Search includes, contextual search, search location, query intent, using of synonyms, syntax, common and uncommon queries, conceptual queries and natural queries to produce highly relevant search results. 7) What is the search system does Hummingbird incorporate in the algorithm? Why? 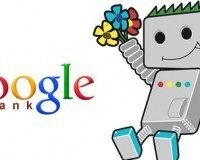 Google’s Hummingbird algorithm is incorporated almost Semantic Search. It’s that, because, Semantic Search is highly capable to search accurately understanding the query intent of the searchers and very swift to catch the meaning of contextual or phrasal terms to generate more relevant results. 8) What is the basic target of Semantic Hummingbird in SERPs? To eliminate the irrelevant stuffs from the SERPs. 9) Is Hummingbird contains same logic in Algorithm like Penguin? Yes, this new update is continued withthe almost same logic of semantic search like old algorithm. Rather, this rewritten update is faster and more accurate. 10) Why Google’s latest algorithmic update is called Hummingbird? In real life, as a bird, the hummingbird is smart, memorable, timely, hearable and fast finder than human. Considering ‘precise and fast’ virtues of Hummingbird, Google has code-named the new update of algorithm by name of it. 11) Why did they update this new algorithm? Because, keyword search what people do now becomes a long query, advance and conversational. Although long tail query is complicated, but its informative and needful in real life. And also, Google would like to stay ahead of the time caring the user’s intention. So, Google has considered all these factors in the new algorithm to bring empower in search for real time more useful result. 12) Why is the long tail query grown up? Day by day, people become smarter and conscious in time-being because of available mobile devices in the hands. They would like to get results from search through ‘speaking’ than typing. This kind of search naturally takes a conversation that forms little longer to make true meaning to find the expected search result. Thus, long tail or conversational keywords are being expected and habituated in search queries. 13) Why I should learn Google Hummingbird? Organic search traffic, a big part of the visitors come into your blog to visit by dint of Search Marketing, whereas biggest update of Google search algorithm ‘Hummingbird’ now affects 90 percent change of the search results. So, in terms of Search Engine Optimization, its ultimate need to know the Hummingbird, understand its semantic behavior and natural linking indication and keep it up in your clear conduct map of SEO. To figure out the conduct map of SEO, should measure engaging content strategy, keyword strategy and social sharing maintenance strategy that are now being indicated by Hummingbird for good SEO practice! We should keep in mind that Hummingbird has appeared as an SikEO-grammar changer. So, in hope of harvesting better result, its continuous process to keep the hummingbird in study so that fast hearing, swift working and accurate doing by Hummingbird could be transformed into your SEO success. 14) How long a search query or keyword should be effective for Hummingbird? Every query is like a question to Hummingbird what it would instantly ready to hear from users clearly to tell (produce) the answer (result) accordingly. Long tail query is not should be longer unnecessarily since a comprehensive length of query could produce more informative results. So, a conversational query that represents topic should be kept within its most comprehensive length of complete meaning is best. 15) How keyword content could be enriched for Hummingbird feed? (e) According to highlighted/tagged words appeared in the SERP. (g) Intent to image and video, authorship and informative and so on. 16) Is Hummingbird effective in ranking? Of course, yes, because 90 percent search results are being got changed due to Hummingbird new algorithm that favors to the conversational true queries for more true results. So, the change in SERP and PR are the live example what you could find easily due to make live of the recent update (6 Dec 2013) in Google Toolbar PR. 17) Does it kill the need of SEO? Not at all, rather this hummingbird update has rewarded a prestigious atmosphere in SEO job for the genuine professionals. Because, now SEO becomes time-being, committing, bona fide, social sharing; not an overnight quick serve. SEO is rather being grown up more live through Hummingbird SEO key techniques and it will last up to the life of Search Engine. 18) What is knowledge Graph that facilitates Hummingbird? A base of knowledge that used by Google to enrich storage of search results gathered from a broader categorized sources through semantic search information is called Knowledge Graph. Google includes this graph in Search Engine on May 16, 2012 aiming that advanced users could able to use these data to assemble them and solve their needs without navigating other sites. Hummingbird takes this advantage of Knowledge Graph and provides more dynamic search to the searchers. 19) Did mobile-internet era influence anything in Hummingbird update? About 70 percent people of the internet users go net browsing through mobile devices. And they, the mobile internet users, are very potential part of the new growth opportunities in the convergence era. Internet mobile devices become very unavoidable part of the human life due to its output in multiple usages such as conversation through voice and typing both, in daily life as well as its better instance in usage. Google, who would like to go with the time, picked out a very significant bird as the code-name that hears the user’s voice faster is a very ultimate inference what they got influenced by the large percent of the mobile internet users. 20) What is conversational search that Hummingbird prefers? A kind of search what Google hummingbird prefers and refers to input a conversation or the whole sentence or meaningful voice as a query for answers instead of particular words is called conversational search. Google Hummingbird could easily find out the intent behind the conversational search queries and provides a solution. 21) What an outstanding role does Hummingbird play in my search now? According to Google, Hummingbird pays an extra attention in each of the query words, total sentence or voice or conversation, rather than an incomplete sentence of particular words. Then Hummingbird could hear and easily understand the whole query what users would like to find and hummingbird does the job accordingly. Ultimately, then, Hummingbird could find out the more accurate pages matching on the basis of complete meaning or sense rather than pages by words itself. It could help you even to say you the place where you are, where the source what you look for and any answer of your question so far, so on, are really extraordinary helping bird than pre-hummingbird search. So,the hummingbird is now sincere, attentive and faster to provide you more perfect result of your query. 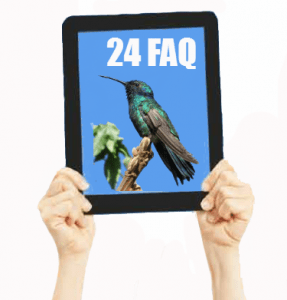 22) What are the Hummingbird-friendly major factors should know for best SEO practice? Its an era to follow the Hummingbird SEO key techniques, If you are a professional optimizer or if you have a site and you would like to deserve expected organic search traffic or PR, then its surely need to enrich textual content, feed links naturally, and nurture Hummingbird-friendly key texts instead of highlighting keywords .Because every site what it already indexed once is under the watch of the Hummingbird to help you in traffic generation. But you have to use the bird’s capability. How ? 23) Who can secure a happy environment in a site for Hummingbird? Webmaster, Web developer, SEO Expert and Web marketers individually or mutually can make a site hummingbird-friendly and make secure a happy environment, mastering the site with the significant implication and indication of Hummingbird SEO key techniques. 24) Why does Hummingbird deserve the honor of Excellency? Hummingbird (although therewith the Panda and Penguin) redefined a brand new search engine what rewards users not only precise and faster result, filter the spam also. Since Google authority confirms ( we also finding the same) that Hummingbird has been getting an outstanding and advance search technology that’s capable to understand user’s language and outputs more informative, useful and accurate search results, and then it ultimately deserves an Excellency of the time. We sincerely appreciate it with profound acknowledgement! Should we not? If you have another question, please share in the comment!